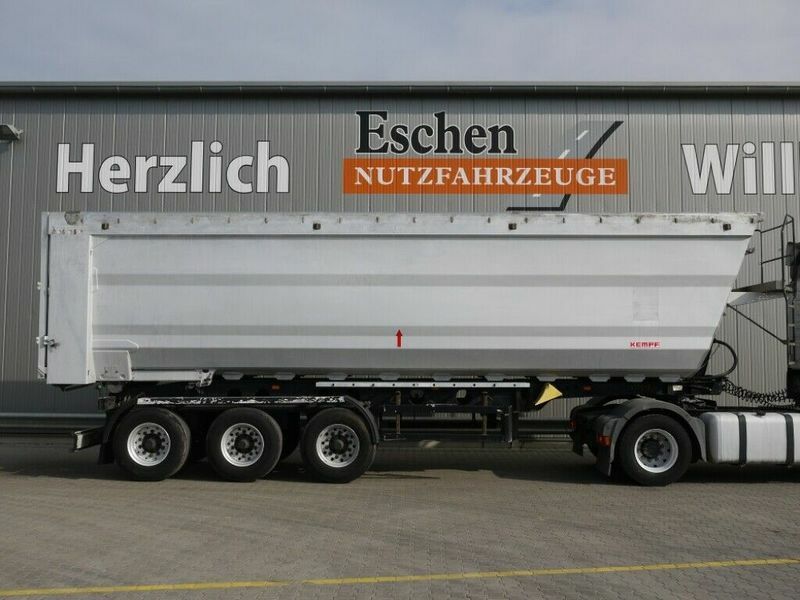 Check the technical data of the unit, picked out from the catalog of KEMPF tipper semi-trailer. The details on axles, suspension and euro norm include: suspension: air, number of axles: 3, brakes: disc, ABS. Body: loading length: 9200 mm, loading width: 2320 mm, loading height: 2300 mm, loading volume: 49.00 m³.